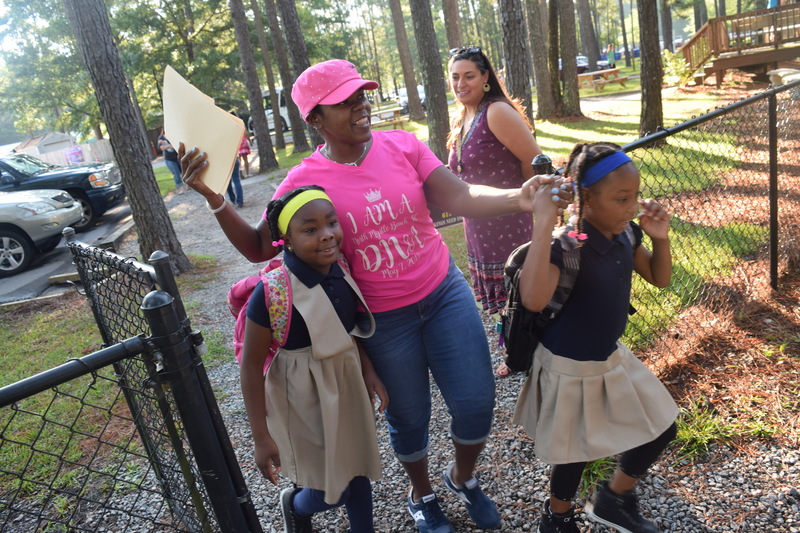 Leland, NC – Charter Day School students returned to school on July 19th, 2018. A brand-new Kindergarten building greeted students as they entered campus. The new state-of-the-art building houses four classrooms and two intervention rooms for private instruction. The building was built over a period of six months. Teachers and volunteers stood outside welcoming students as they arrived. At 8:00 AM all students recited the school pledge and started learning math, reading, grammar, handwriting, history and Latin.